PETER SERKIN 2018-2019 Season Highlights | Kirshbaum Associates Inc. Recognized as an artist of passion and integrity, the distinguished American pianist Peter Serkin has successfully conveyed the essence of five centuries of repertoire. His inspired performances with symphony orchestras, in recital appearances, chamber music collaborations and on recordings have been lauded worldwide for decades. An avid exponent of the music of many of the 20th and 21st century's most important composers, Mr. Serkin has been instrumental in bringing to life the music of Schoenberg, Reger, Webern, Berg, Stravinsky, Wolpe, Messiaen, Takemitsu, Wuorinen, Goehr, and Knussen for audiences around the world. He has performed many important world premieres of works written specifically for him, in particular by Toru Takemitsu, Hans Werner Henze, Luciano Berio, Leon Kirchner, Alexander Goehr, Oliver Knussen and Charles Wuorinen. 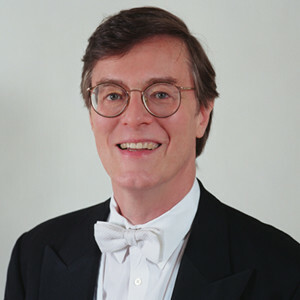 Mr. Serkin has recently made several arrangements of four-hand music by Mozart, Schumann and his grandfather, Adolf Busch, for various chamber ensembles and for full orchestra. He has also arranged all of Brahms’s organ Chorale-Preludes, transcribed for one piano, four-hands. This season, Mr. Serkin collaborates with the Cincinnati, Rogue Valley and Vermont Symphony Orchestras as well as the Espressivo Orchestra, performing Bartok’s Piano Concerto No. 3 and Bach’s Concerto in D minor, BWV 1052. In recital, he appears at New York’s 92nd Street Y, the Ravinia and Aix-en-Provence Easter Festivals, Philadelphia Chamber Music Society, People’s Symphony Concerts, Greenwich Library Concert Series, Yale School of Music and the Green Music Center, as well as in Springfield and Northampton, MA, and Bethlehem, PA. An avid chamber music performer, Mr. Serkin performs at Music Mountain and collaborates with the Dover String Quartet.